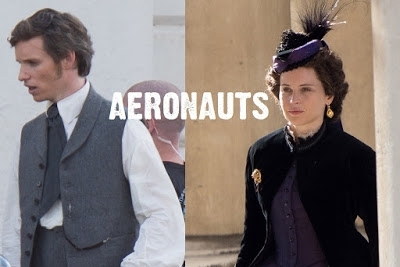 Last starring together in The Theory of Everything, a film about the late Stephen Hawking, Felicity Jones and Eddie Redmayne are once again reunited for The Aeronauts, a film about adventures in a hot air balloon. Filmed in different locations around London and Hertfordshire, the costumer department needed comfortable footwear for the leading actors to enjoy once off set. Felicity Jones was sent a pair of our Aviator Boots in calf height along with some Ladies Clogs. Mr Redmayne on the other hand opted just for slippers and received some Men's Celt Clogs with backs.